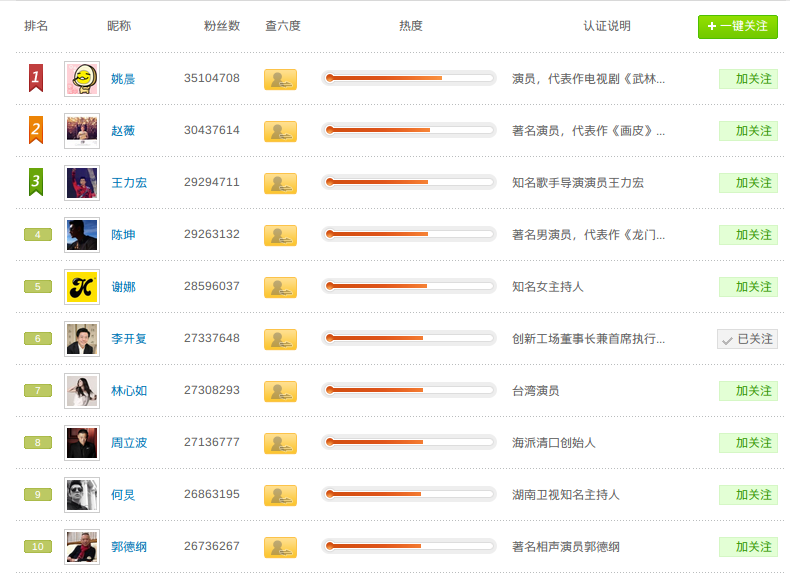 Follower top 10 ranking on Sina Weibo and Tencent Weibo (as of 01/30/2013). 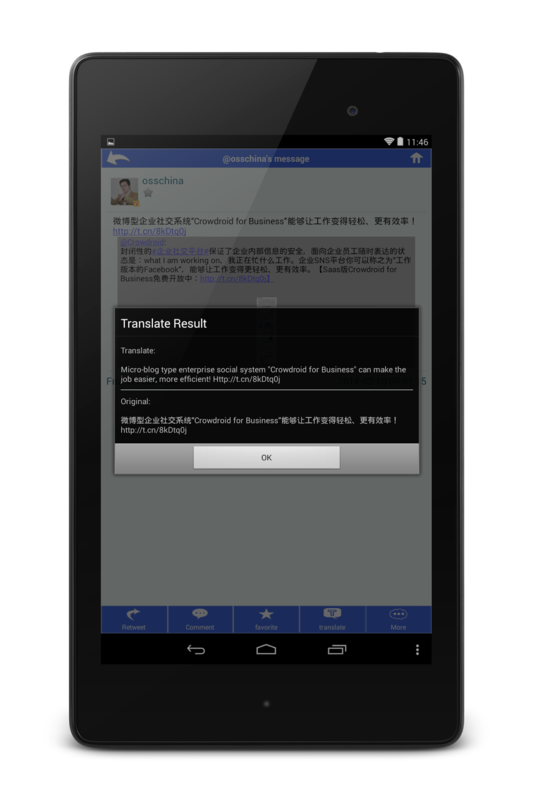 I introduced before "Follower top 10 ranking on Sina Weibo and Tencent Weibo". And today, I would like to introduce the current each top 10 ranking for the first time in 7 months again. 1. 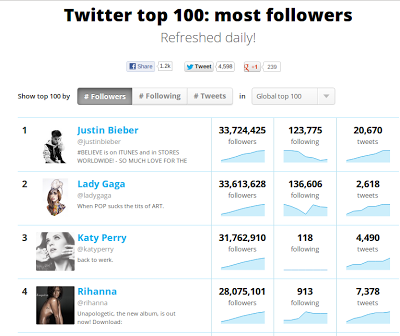 Follower top 10 ranking on Sina Weibo. 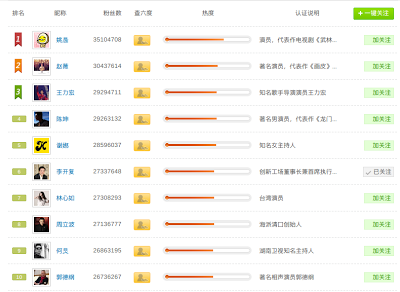 Compared to the last time, Weibo Queen "Yao Chen" still keep the top position, but 7 users were replaced at this time. 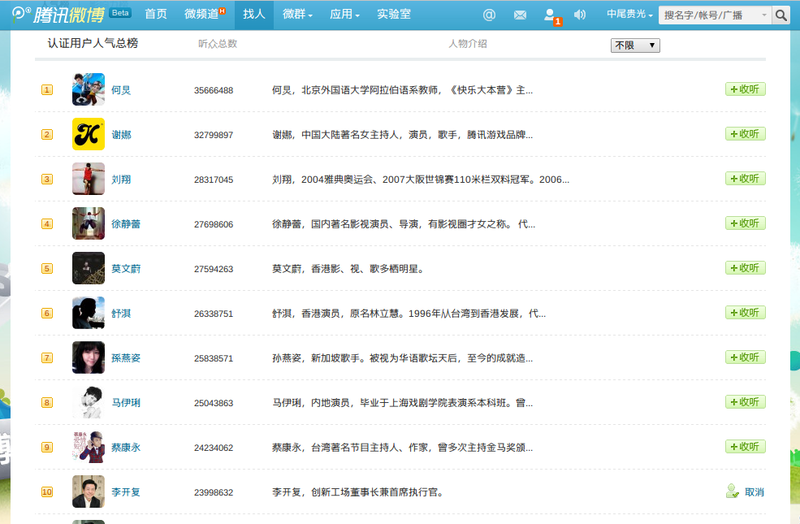 Watching this ranking, I feel again that the replacement of Weibo world is also very fast. 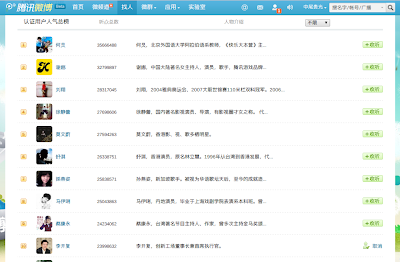 Compared to the ranking of Sina Weibo, the change was very little. There are no users that was newly ranked in at this time. According to the information of "Twitter top 100 most followers", the most followed twitter user is Justin Bieber.